With my face more intentionally close to the carpet than it had ever been before, and subsequent relief that I vacuumed as much as I had, there marked the beginning of my search for Jesus. The true Jesus not distorted by any of the different doctrines or denominations surrounding him. I wanted to remove all of the filters so that I could truly hear his voice, experience the relationship and do his will. 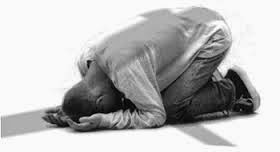 So with face on floor and heart towards heaven, I prayed and pleaded for wisdom, direction, comfort -any or all of the above. Just something… anything. Those of you who have, or have had, anymore than a casual approach to your faith may relate to this experience in one form or another. What is on sale for us is a personal relationship unrivaled by any other human relationship we can have or ever experience. He loves us so much that he died for us. He has formed us in our mothers womb and knows us so well that the number of hairs on our head is counted. His only request is that we follow him because he desperately wishes to have a relationship with us individually and personally. Leading up to the beginning of my search that began on that early Sunday afternoon, I had just come home from my local non-denominational church. I was 22 years old and had recently bought my first house where I lived alone in a very, very small country town in northern Colorado. The church I attended and volunteered in was one town over and held in the local school auditorium. I couldn’t remember the message that day if I tried but I do remember coming home with the desire to further my relationship with Christ. To commune with him. I wished to be a blank canvas for him to do his work of art and bring others closer to him. I found myself praying and praising him with tears of emotion on my face. At that time, I was living a very simple life. I would wake to read scripture, go to work early, come home to clean and organize an already clean house, occasionally go out to eat with some dear friends of mine, and would retire to bed between 7-8pm every night. I was not in pursuit of any intimate relationships and despised bars and nightclubs. It was seemingly as though I was in the perfect situation to be a conduit for Christ. What I ended up hearing and experiencing on that Sunday afternoon with face in carpet and a posture of surrender, was both unexpected and confusing. -Silence. In fact, the word silence doesn’t even properly describe the moment. It was more like silence daydreaming about nothing while remaining static in deep space. Not to belabor the point, but imagine for a moment experiencing the heartbreaking loss of a loved one and in tears, look up and see your best friend with a stoic look on their face as though waiting on you to get to the point or say something meaningful. I was so open and exposed to getting any type of response, like the calm peace that had flowed through me so many times before. I would have accepted anything at that moment. A breeze, a sensation, a feeling of being lead to scripture, or the strange noise my house makes when settling on it’s foundation. The remainder of the day continued this way. Unanswered. This event in no way had me even toying with the idea of atheism. I didn’t even know what an atheist was or what it meant. Much like a victim in an abusive situation, my only thought was that there’s something wrong with me. I must have screwed up somewhere along the way. Where did I go wrong? How can I make this right? I resolved from that moment on to seek Jesus in his truest form. To strip away all of the expectations, emotions and imaginary evidence that I bring to the table and to allow the Holy Spirit to reveal itself to me in whichever form that it truly is. This began a very scary period of time for me. Though my intentions were pure and it was truly the desire to become closer to Jesus that started me down this path, I was nervous about any missteps along the way. I was careful to not offend God. I was so protective and defensive over Jesus that it felt strange to allow him to stand on his own two feet in my head. There was nothing that was going to get me to let go of my Jesus, no matter how distant he may seem right now. Just let me find you again. Let me rest in your forgiveness. Let me be an extension of your will. I still attended and volunteered at church in full ‘seeker’ mode. The difference was that I was paying attention to the message that the pastor was delivering in terms of what he was saying about Jesus, how he was defining the scripture, what he was bringing to the table. When his interpretations and declarations about Jesus, people of other faiths, scientific discovery or historical truths didn’t quite square with reality, I opened myself to let the Holy Spirit lead me to the truth of what it wanted to express, what Jesus was truly saying. I began noticing that being “led” anywhere or by anything required me to do 100% of the planning and reasoning. Years later, I would recognize that any sensation of being led by the Holy Spirit really is a game of ‘imaginary friend’ that we play when making decisions. It is us that reason out moving to a different state, getting married, or taking that job offer. We bring our resources and ethical intuitions to the scales and weigh the ‘goods’ and the ‘bads’. It is only after that exercise we heap the praise on Jesus for helping us make the decision. Years later, I experienced what became such a fond memory for me going to see Van Halen on one of their reunion tours, with my Dad. Loud energizing music and tens of thousands of fans all singing out loud in unison to familiar songs would give anyone an overwhelming sense of community with complete strangers. I’m sure you’ve experienced the chills and an energy that can’t be explained when your favorite band arrive at that one part of your favorite song. Let’s face it, it’s precisely why we attend concerts to begin with. I remember being at that concert, and for a moment remembering back at that part of my journey for Jesus in which I recognized that it was I who brought the emotions and energy to church, the sense of community and the feeling of the Holy Spirit. If there was a Holy Spirit in church or bible study, I should be able to set aside all of my emotions that were being swept away by the worship team, all of the pastors heartfelt words, the sense of community, and after removing the human variables that we all brought to the event- the Holy Spirit should be found, radiating it’s ‘Holy Spiritness’ under it’s own power, plain as day with whichever emotions and revelations it had to deliver. It wouldn’t depend on the proper number of people gathered, the pastor leading us down the right emotional trail, or all of us maintaining Van Halen chills. I don’t know what the presence of the Holy Spirit should look or feel like simply because after removing all of the decorations that I bring to the party- there’s never anything else there. After a year of self awareness and carefully peeling the onion of faith, I still had not abandoned my search or belief in the true Jesus. However, at this point I had accumulated a checklist of where the Holy Spirit wasn’t. I cautiously began examining prayer. What I was saying, who was hearing it, what the results were. My prayers became more simple. “Lord, please strengthen my faith. Reveal yourself and your will to me and allow it to be done. Amen.” Knowing that my prayer should be low hanging fruit to the almighty creator of the universe who desperately seeks a relationship with me, as well as, the definition of “his will” that was so broad that one would never know whether or not one is operating within it, I began to take notice that the good days and the bad days that I experienced seemed no different than those ‘lost souls’ out in the world. They were also no different from those that subscribed to different faiths, generally speaking. I began praying my simple prayer only once a week, then once a month then finally not at all. I was fired from a job, soon after, hired by a better company. I had my heart broken, then later, found a better relationship. My grandmother died. I received a promotion and raise at work. I moved to another city and made a new friend. I was in a car accident. I fell in love. Life just seemed to keep going with all of the ups and downs, opportunity’s, near misses, and grand triumphs that everyone else seemed to be experiencing. With or without prayer. This is all not to suggest that prayer can’t be helpful. It absolutely can. Much in the same way that sitting indian style, wearing a diaper and reflecting on what you regret as well as focusing on things you’d like to achieve is helpful. In my house I have a photograph of a dear friend of mine that passed away in a motorcycle accident years ago. I also have an old jacket in my closet that I’m not too fond of but for whatever reason, refuse to get rid of. Let’s imagine that I wake in the morning and spend a few moments looking at the photograph of my friend. I use those moments to feel connected to him again. I also tell his photograph about my hopes and plans for the future and I ask him to help me achieve them in whichever way he can. As I go about my day, the good things that occur and that may lead me to achieving my goals, I attribute to my departed friends watchful eye. I quietly thank him. The bad things and obstacles in my way of achieving my goals is blamed on the jacket that I won’t get rid of. -And I just know it’s out to get me and make me stumble. Let’s say I did this day in and day out for a year. As preposterous as this may sound, do not think for one moment that we are immune to this style of thinking or the psychological consequences of repeating this exercise. We are a pattern seeking species and the mental and emotional connection that we create while engaged in this type of behavior is profound. I remember meeting and talking to these types of believers that I thought were insane even back when my faith was at it’s peak. I’m sure if you’re a believer reading this, you can quickly think of a few fellow believers that took this ball and ran with it to some bizarre extremes. Thus far, I have only provided the cliff notes version as it pertained to prayer, emotions and the sense of community that I had begun to quite easily recognize in human terms as opposed to the movement of the Holy Spirit. There was a seemingly uncountable number of nuances to my faith that were painfully and individually approached in the same way. I had made no rash conclusions along the way. Each aspect of my faith was examined and tried time and time again until that layer of the onion fell away under it’s own weight. I desperately wanted them to be true, but my pursuit was in the truth not my preconceived notions of the truth. I had approached it all cautiously, looking for the true Jesus underneath all that I was attributing and assigning to him. Hopeful to find what the Holy spirit was delivering without the filter of religion, my emotions, or my expectations. I wanted whatever he was, to stand evident and true. Atheism isn’t a philosophy. There are no tenets of atheism. Atheism does not require you to believe in evolution or believe anything in particular at all. It took five years of exhaustive examination and experimentation with the numerous aspects of my faith in pursuit of the real Jesus. The onion had finally peeled. I realized that not only had I been indoctrinated into this faith as a child, told what to think and not how, but I had carried it on into adulthood delivering and decorating the idea of Jesus with my emotions, my confirmation bias, my excuses and my imaginary defense of the Holy Spirit. When I had removed all of these to make way for the true Jesus- TaDaa! …there was the silent nothingness that began my journey to seek him in the first place. There was no feeling of success. There was never a desire to be my own god. There was no love of sin. -All of which are proclaimed by believers to be true of atheists. I began to feel lost. I didn’t fit in to a nice little compartment anymore believing that I had all of the answers to the universe in my back pocket. I later was able to observe how religious indoctrination promotes and invents this idea of being “lost” to keep one in the faith so it was no wonder I felt this way for a short period of time. All of the reasons my friends gave for their belief and love for Jesus had been a careful part of my journey thus far and seemed quite easy to explain away through experience and evidence. It was also obvious that they had no desire to examine any of these attributes in any unbiased way. They sought to confirm their preconceived notion of truth, not to find what really is true. They were perfectly content with “Jesus got me the parking spot right at the front of the mall!” Yet when tragedy struck or there was news of genocide in the world, “The Lord works in mysterious ways and there’s an awful lot of evil in the world.” Once again, the photograph and the jacket. I suppose I had heard the word or the term “atheist” before. Isn’t that the antisocial dude with the guyliner, black leather pants and Megadeath shirt that freaks out the elderly in the grocery store? It wasn’t until I had walked away from the onion of faith and began operating in the world as a “none of the above” for a year or two, that someone dear to me gave me the book “Farewell to God: My Reasons for Rejecting the Christian Faith ” by Charles Templeton. Along with Billy Graham, Templeton was at the forefront of the evangelical explosion in America with “Youth for Christ” beginning in 1946. His book outlined his journey out of the faith. I couldn’t believe it. For the first time in years it felt like I wasn’t the only one who had these questions or took this journey. Whether the guyliner weirdo at the grocery store was an atheist or not, there existed well educated, successful people that were intimately involved with the scriptures and have followed a similar path out of it. I explored further and began reading Hitchens, Peterson, Harris, Dawkins, Andrews, etc. Spoiler alert: Atheism isn’t a philosophy. There are no tenets of atheism. Atheism does not require you to believe in evolution or believe anything in particular at all. It’s actually as useless as the word non-racist. I’m not a racist and I don’t have to remind myself that I am a non-racist when I wake up in the morning. In a sea of Christians, Muslims, Jews, Hindus, Mormons, Scientologists, Buddhists, it’s simply the word for “none of the above.” Atheism does not dictate how I spend my day. I can go to church if I’d like, I can go fishing if I’d like. However I choose to conduct myself in my work or free time will only be of consequence to the laws of our land and the social treaties we make with one another, religious or not. Atheism plays no part. The word atheism is an answer specific only to the question as to whether or not I believe there is a god. Apart from that question, I’m just Nohl, with all of the ethical intuitions that I have learned and bring to the table thus far. On offer is my blog titled “An Attempt at Morality” which is where I would direct you if the morality defenses are being raised within you as you read this. At no point in this story has my journey for Jesus found it’s final conclusion. Anything I have ever written or said is up for revision as the evidence arrives. I have spent well over a decade searching and have a fairly extensive checklist as to where Jesus isn’t. Seth Andrews describes God as being “The all time hide and seek champion of the universe.” It’s been difficult to disagree with that sentiment. Whether one likes it or not, it really is up to the Muslim to persuade me that the Koran is the perfect word of Allah. It is up to the Mormon to provide sufficient evidence that Joseph Smith unearthed golden tablets and now has a true handle on our situation. Of course then it is up to the Christian to persuade me to believe that god sent himself to sacrifice himself to himself to save us from himself as being the most reasonable explanation for reality. I’ll quote Seth Andrews from his “The Feuerstein Fallacy” video, http://youtu.be/r878HuZmsaM, “If God cares about me, and he can talk to me the way he talks to you, then why am I stuck listening to you?” My offer to Jesus or the Holy Spirit stands. If you exist and if your desire to have a relationship with me or to reveal yourself to me is true, let it be made clear. As we enjoy this explosion of the information age and scientific discovery now living in the year 2015, none of the evidence seems to be coming out that we were all created a mere 6000 years ago in a garden with a talking snake and a weakness for apples. If you are a believer of any sort reading this. I ask you to consider seeking your belief to the fullest and truest form. Become self aware of the decorations and emotions that you may be bringing or attributing to your beliefs. If you follow an almighty creator of the universe who loves you more than comprehension, let him stand on his own two feet. Let him make you aware of his will and his presence that can’t be explained away by the result of a good danish and a bad cup of coffee at your local Sunday meeting. Or the allure of the emotional crescendo in your favorite worship song. Let your beliefs be something real that only the supernatural could explain after removing all that you bring to the table. You may be surprised at what you find.